Set in South Korea in the bloody year of 1980s in its capital city, Gwangju, when students protest against military dictatorship of Chun Doo-hwan, a Korean taxi driver will carry a foreign reporter like a hero on his wings, to record and capture every moment when violence is being committed against humanity. While unclarified number of people, but more than just a few, lose their lives, Kim Sa-bok (Kang-ho Song) as a taxi driver acts like a hero to secure RDI reporter Jurgen Hinzpeter (Thomas Kretschmann) to film everything he needs. However, during difficult times, the best souls must unite for a brighter future as the cost of loss becomes irrelevant when the same future was at stake. 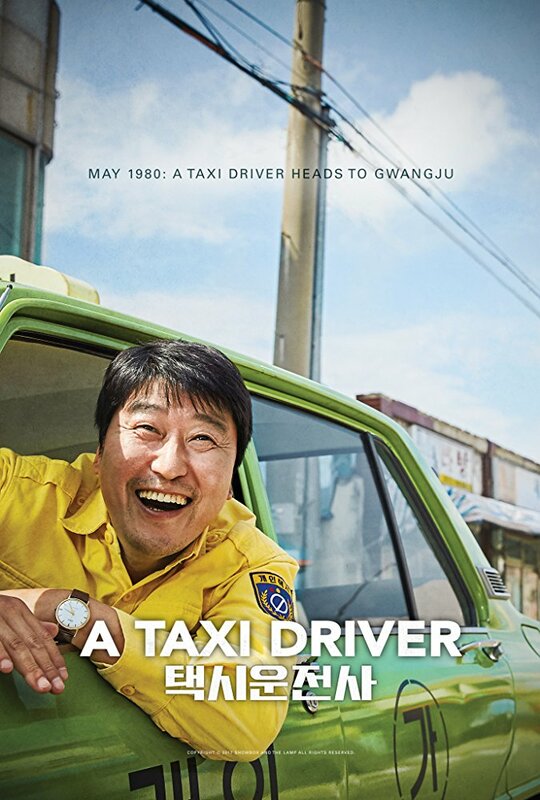 The first twenty minutes of A TAXI DRIVER is dedicated to Kim Sa-bok, him being a single father owing money to his landlady, and trying hard to make his end meet. As there is not much money to provide to his daughter, Kim Sa-bok overhears about an opportunity to give a ride to foreigner for a large sum that can help him to ease his expenses, pay some debt and buy something new for his daughter. However, as soon as he realizes the danger he got himself through the innocent drive, Kim Sa-bok and the reporter must find a common language to communicate in order to deliver him to the heart of the riot where military continues killing people like if they were contagious flies. With fear that I may spoil the entire movie, I still believe the need to mention another character, who despite his young age was brave, wise and pivotal at every step Kim Sa-bok or the reporter made – his name is Gu Jae-sik, who may not live long enough physically, but his courageous actions will be passed on through generations. As the story unfolds, you will be left to witness the conscious killing of innocent people during protests where military kills anyone they can find right and left. As the number of dead people increases, the intensity and the degree of the film goes way up, honestly, without tears, I could imagine even an indifferent viewer would not be able to pass on. A TAXI DRIVER directed by Hun Jang is a brilliant movie, powerful and painfully relevant nowadays. Even though it’s been based on true events, the story told in the film is as old as the world itself. This is why it helps a lot to educate each individual through films like this where it enables some people to become tougher, with wide opened eyes and ability to filter everything they see around and believe only to their own eyes. It shows how any life can be lost for no reason. But it also highlights how one man, unknown to the world, can make a difference. For that, he did not have to earn billions to become the second Bill Gates. All what he needed to do is to help the truth be delivered. Because every disease has it’s cure and the honesty as a medicine can be used as a great example that can reduce and even eliminate the impact of lie. And as it is well mentioned by Washington Post – the democracy dies in the darkness, where A TAXI DRIVER can be used as another instance to that; the same democracy may die in the darkness but it also can be resurrected from the same darkness as long as we have reporters like Jurgen Hinzpeter who will never stop fighting for the ugly truth to come out.